The upcoming Super Bowl promises to be one of the most memorable ever. 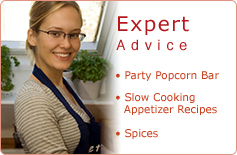 Make your Super Bowl gathering equally memorable with the expert advice of RecipeTips.com. Tired of the same old party appetizers and snacks? Try our excellent pepperoni pizza dip, sweet and spicy glazed chicken wings, or our beefy corn and black bean nachos. 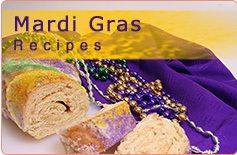 Whether you’re planning a simple event or an elaborate party, RecipeTips.com has hundreds of inventive party dips, mouth-watering finger foods, and classic hors d’ oeuvres to make your Super Bowl party just right. 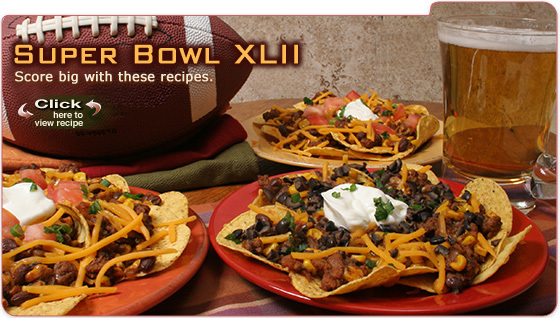 Our delicious recipes will put smiles on the faces of your guests even if the outcome of the big game is not what they hoped for.